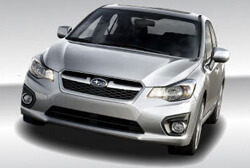 Keeping your Subaru safely on the road for the most affordable price is our top priority. We work hard to offer the best quality service while keeping your family on budget. Our specialists are dedicated to offering you the most comprehensive repairs we can for a reasonable rate. Our commitment to customer service, the community and the environment are just a few reasons why many of customers have trusted us for years with all their family’s vehicles. We believe about all of our customers and give each repair project the time it deserves. At Hollin Hall Automotive, we have hired specialists who are well trained in meeting all of your Subaru repair and maintenance needs.